The Best Boutique Developer :D’Well Grand Asset, Co.,Ltd. In addition, ARNA EkamaiPrivate Single Houses, the company’s luxury single-detached houses development, won 3 Highly Commended awards from the following categories. 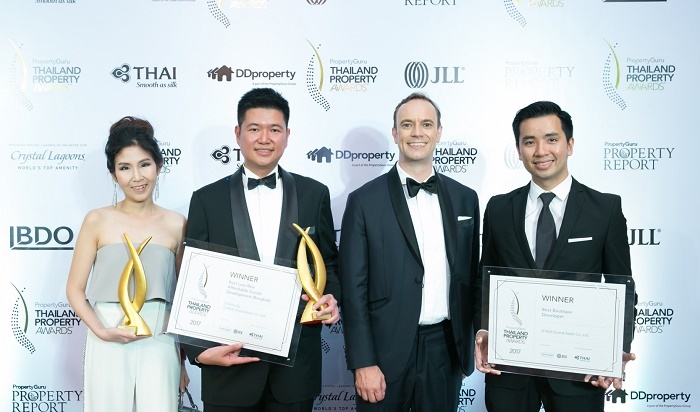 The PropertyGURU Thailand Property Award 2017, has thelongest history in awarding event of the real estate sectors in Asia. This year, the 12th consecutive event, recently has held at the Plaza Athenee Bangkok, the Royal Meridien. The winners of each category may get to the international level by participate in the Asia Property Award in the Singapore this November.